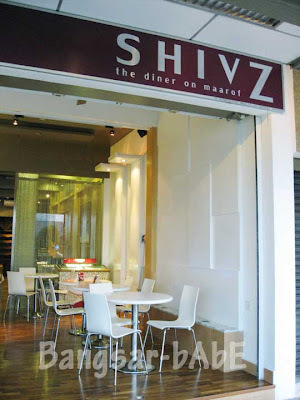 Shiva opened his new restaurant SHIVZ yesterday. After work, I decided to check the place out with Jeen. The outlet looks swanky, which make people assume that the prices are on the high side. However, the food is not expensive at all. 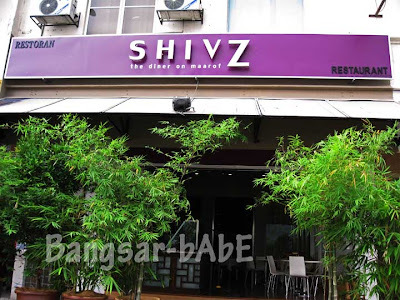 Shiva insisted on keeping his food affordable for people to enjoy. 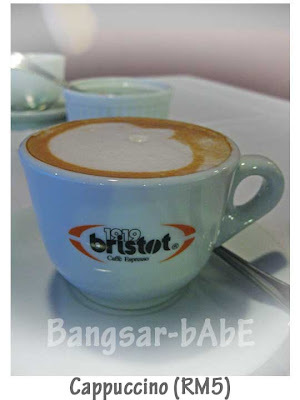 Curious about this coffee brand called Caffe Bristot, I ordered a cappuccino while Jeen had the double expresso. 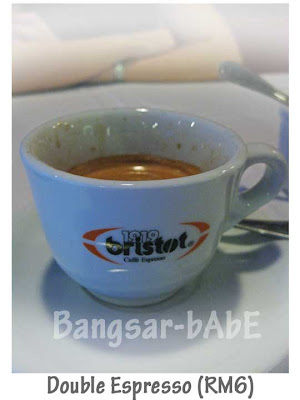 Bristot coffee is a product of Procaffe SPA, a prominent Italian coffee roaster. 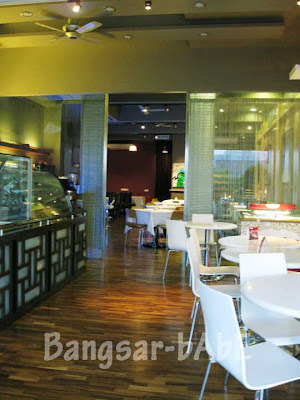 The coffee has an intense aroma and minimal acidity. However, as lovely a cuppa it is, I still favour Illy. Personal preference. 😉 Jeen”s pesto pasta was enticingly delicious. 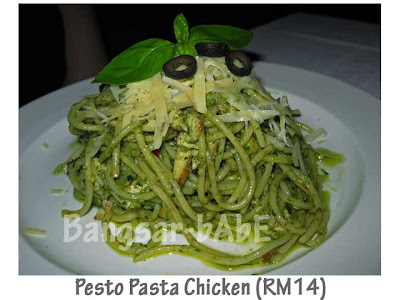 The pesto sauce (made from a blend of pistachio, basil and herbs) was creamy and fragrant (extra virgin olive oil), with a light buttery undertone. A very generous portion. The pasta was al dente and topped generously with savoury chicken stripes and grated parmesan cheese. I shamelessly sneaked bites from Jeen”s plate. 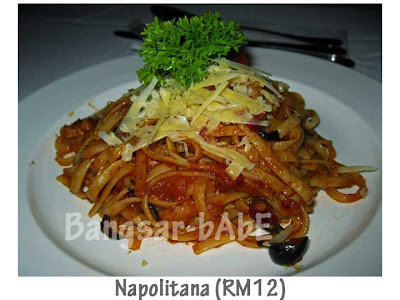 The Napolitana is a simple pasta made fresh with plump, ripe tomatoes, olives and seasoned with just the right amount of herbs. Its luscious flavour lies within the fusion of good quality olive oil, onions, garlic, salt, pepper and the right amount of herbs. Topped with grated Parmesan cheese, the sauce is chunky, tangy and light, and the linguine, firm to the bite. Between the two, I think the pesto tasted better and the Napolitana, a close second. When it came to paying the australian pokies download bill, we were told that everything was on the house, to celebrate their opening. Thank you Shiva, everything was lovely. I”m so having their rack of lamb next! I came back again for lunch with rif. Since I raved about how delicious the pesto is, he wanted to try it too. We ordered a plate of pesto pasta chicken and the rack of lamb to share. 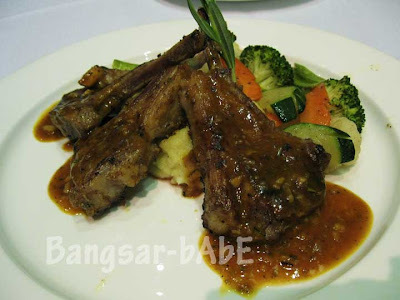 3 lamb racks on a bed of mash potatoes with vegetables on the side for a reasonable RM28. The lamb (marinated for 2 hours) was done just right. 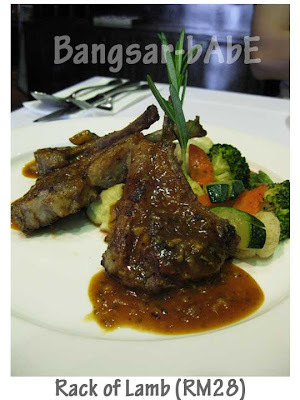 Juicy, tender, with minimal fat, its flavour is fully enhanced with rosemary sauce. The mash potato was very good – it has a grainy texture, making it more than “just a mash”. According to the chef, he makes the mash with cream, salt, pepper and a bit of nuts. rif and I enjoyed every bite. Lunch cost RM50 for a pasta, rack of lamb, cappuccino and a bottle of water. Worth every cent! Verdict: Generous portions, good food. 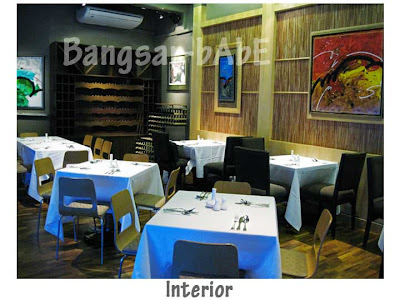 All in Bangsar Baru! 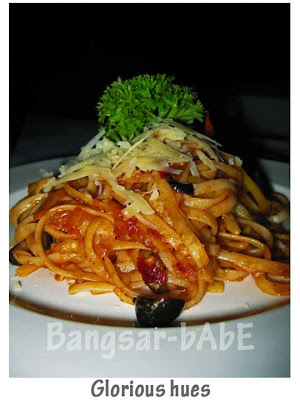 ooo…yum yum…the pesto pasta struck my eyes….must really go and try it…since i am a pasta lover…. 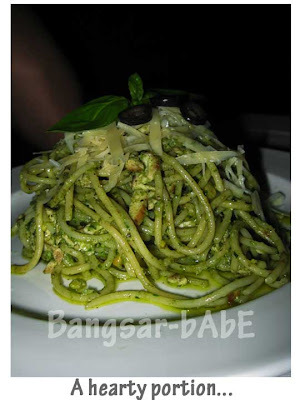 Yes, go try the pesto pasta, it’s really delish!